Home > CONTENT > COLUMNS > JINJER – Releases New Single and Video “Ape”! 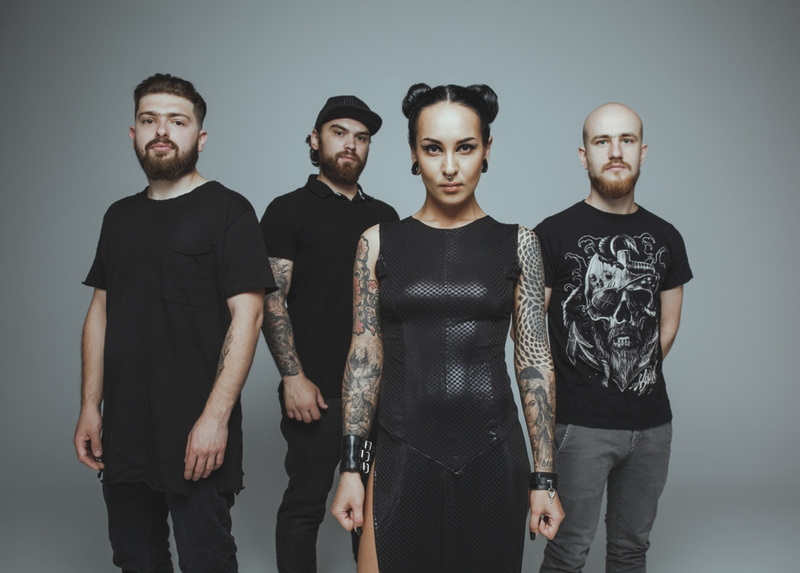 JINJER – Releases New Single and Video “Ape”! 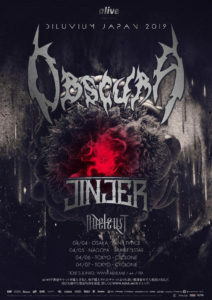 Through their unique and heavy sound and over the top live performances, the Ukraine-based band JINJER have quickly become one of the most talked about names in the heavy metal landscape today. 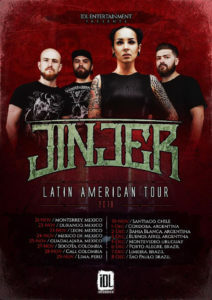 Hailed by Loudwire as “Technical, Groovy and Anthemic,” JINJER have cemented this status even more with the release of their new single entitled “Ape.” The single is available for purchase and streaming HERE. Watch the video for “Ape” HERE. JINJER will provide direct support to DevilDriver on their upcoming U.S. tour whick kicks off this coming Tuesday October 23rd in Phoenix, AZ. 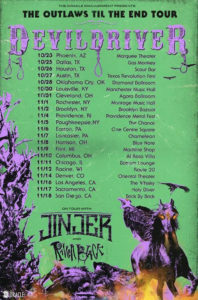 The tour runs through November 18th in San Diego, CA. 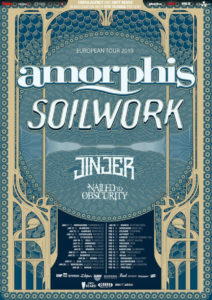 A complete list of dates can be found below. Watch a commercial for the tour HERE. 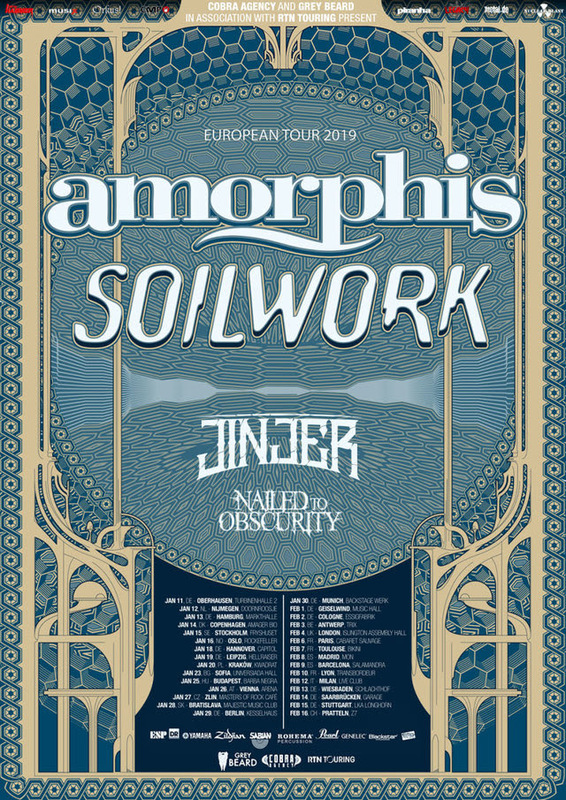 Since the release of 2016’s “King of Everything”, JINJER’s groundbreaking second album “Cloud Factory” was re-issued in February 2018, both via Napalm Records. 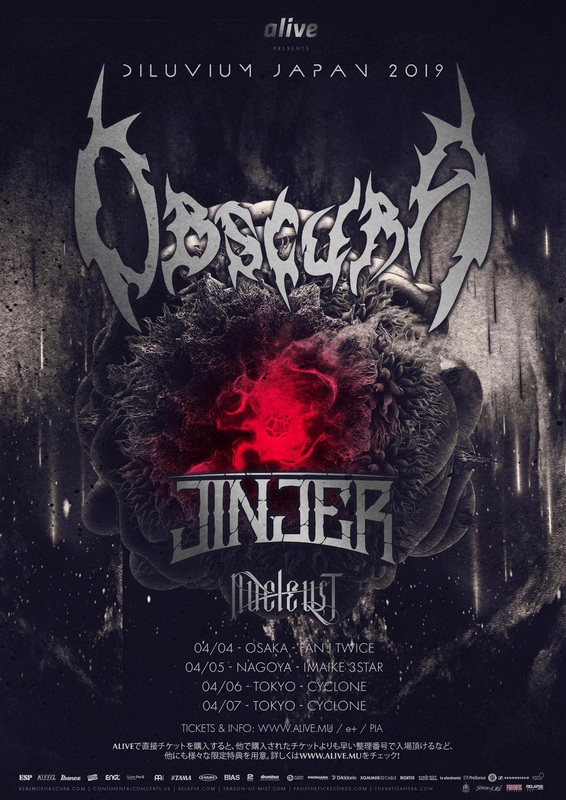 SIRENIA – Release Official Music Video for “Into The Night”!